If you are looking for a historical and yet highly dramatic look for your home, you will want to consider medieval interior design. It is not at all difficult to achieve and can be quite effective when looking at some of the most modern homes out there. If this is something that looks attractive for you, here are some things you will have to remember about medieval interior design. The Medieval period was quite long, ranging over 3 centuries, from the Gothic period to the Tudor period. With this in mind, it is obvious that you can easily find a whole lot of inspiration for something you will love. 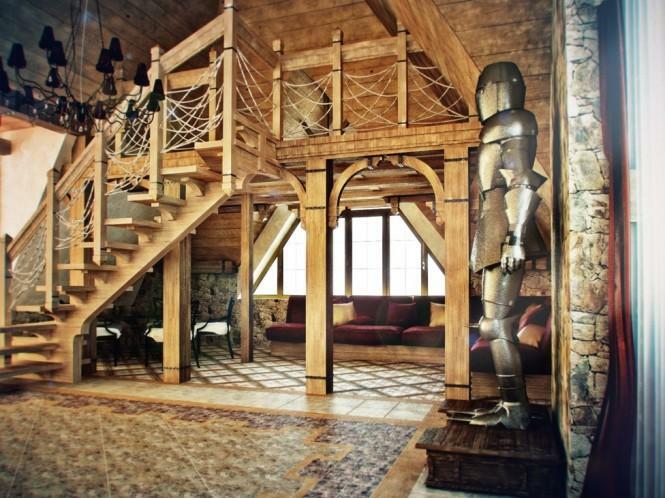 You can so easily end up with a modern Medieval interior design reinterpretation if you focus on the style that you normally found in Medieval times and castles. It is really important that you do not remain focused on getting historically accurate images of the interior designs of the period. The main idea is to basically focus on combining modern with historical elements. 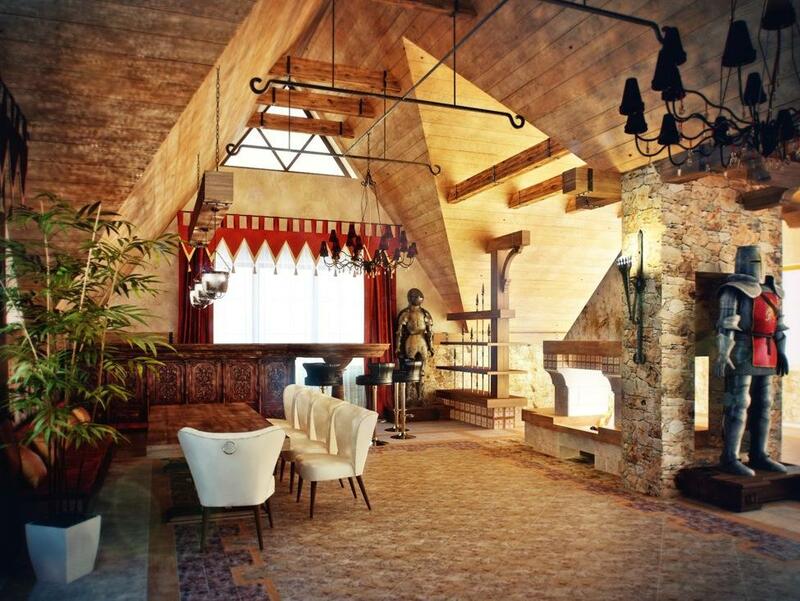 If you want to create a Medieval interior design setting, you can start with wood paneling for the walls. Alternatively, use vertical battens instead of wood paneling. Oak is especially interesting due to the fact that it will offer an authentic look. Faux painting technique can help you to recreate the medieval stone walls but you have to be sure that it is not tacky. Wall paint color has to be rich. Aim for golds, greens and deep reds. You can opt for lighter shades like blues, rusts, greens and dusky pinks but that has to be perfectly complemented. Patterned wallpaper can be used but it needs to have heraldic design, foliage or floral patterns. A fireplace is obviously a perfect main focal point that has to be considered as it is perfect for Medieval interior design. In the past, fireplaces that were massive, from the floor to the ceiling were preferred, made out of brick, stone or even chunky timber. 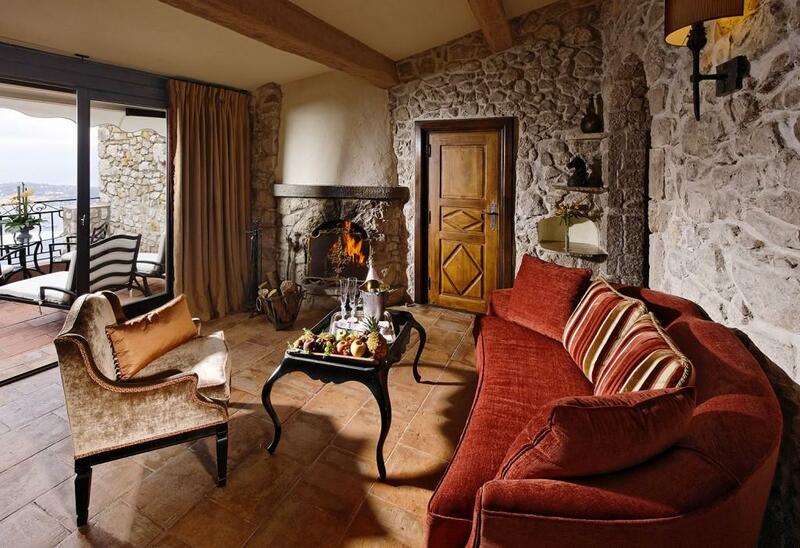 Focus on proper placement so that you can use a fireplace as a focal point. If you want to achieve a perfect, authentic Medieval interior design appearance, you will want to use hard flooring. Examples that are great include tiles, hard wood flooring, concrete and stone. 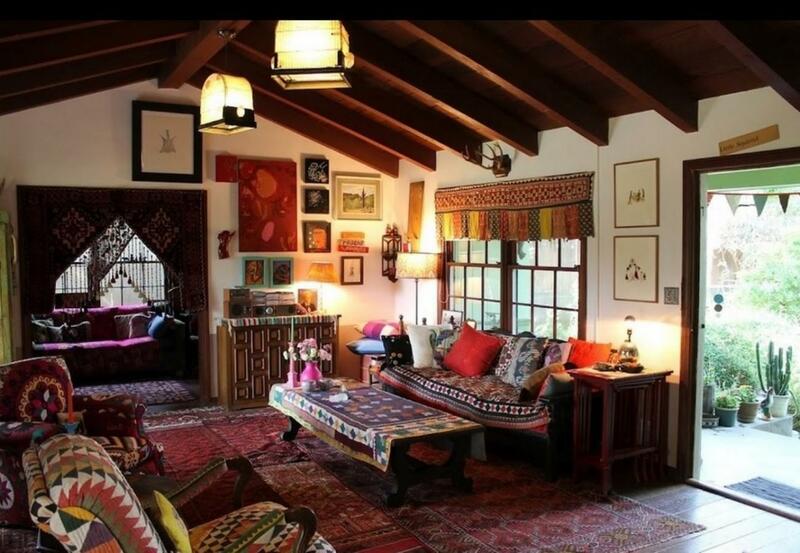 It is possible to use soft, big rugs with great Medieval designs and colors. Furniture is vital. You have to be sure that you avoid something that is way too dainty. Just make sure that you look out for solid, chunky furniture that does not look to new. Choose dark oak, although other types can be used. 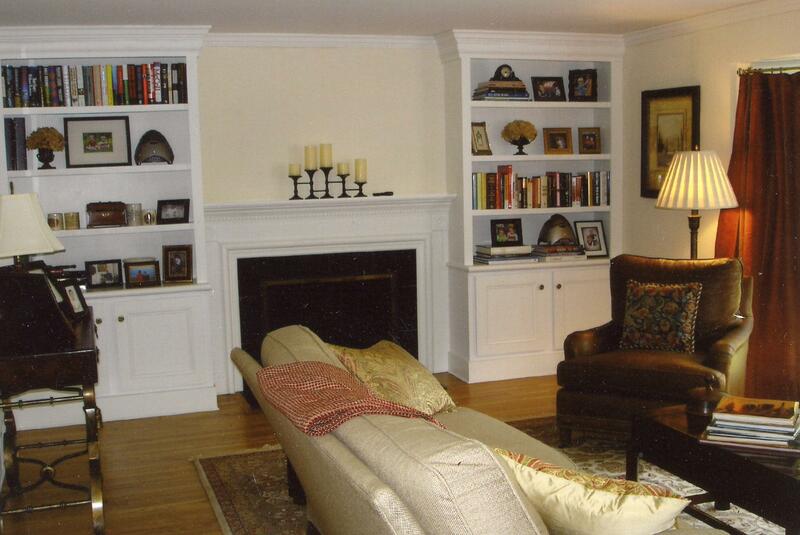 You can easily use solid chairs, dining tables, dressers, benches, cupboard beds and benches. 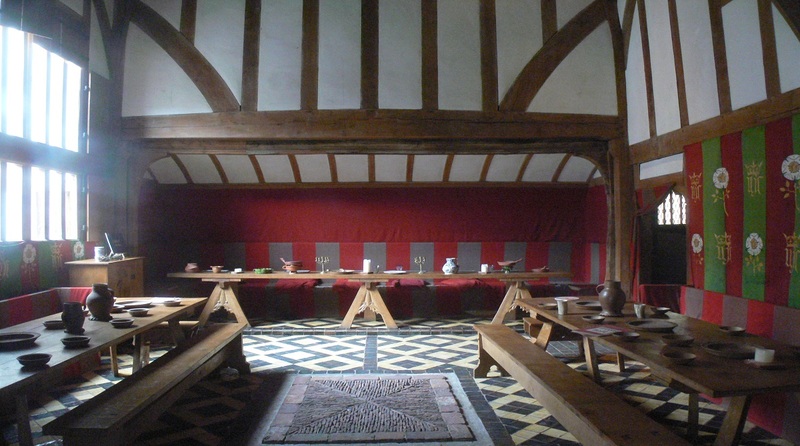 Besides all that is mentioned above, recreating an authentic Medieval interior design is easier when we use some medieval elements that are as historic as possible and that can be used without a problem. These are definitely elements that can be found with ease.